Now the days are short and the nights are dark and nippy, most of us just want to snuggle up indoors as much as we can. In this issue we’ve got some gorgeous decorating ideas to make your home so cosy you’ll be snug as a bug in a rug. One of the biggest trends this autumn/winter is the rustic look – think rich, russet tones, textured woods and cute forest creatures – on page 20 we show you how to make this look work in your own home with affordable high street buys and clever styling tricks. 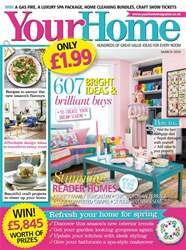 Another huge trend this season is the Scandi look and on page 37 you’ll find heaps of great ideas to give your home a cosy Nordic feel with functional furniture and plenty of snuggly accessories. 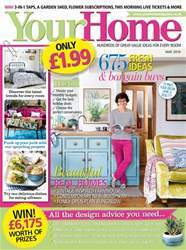 And don’t forget to take a look at our buyer’s guide this month, where we pick our favourite pieces of space-saving furniture to give you more room to move in your home now you’re spending more time indoors (p.56). 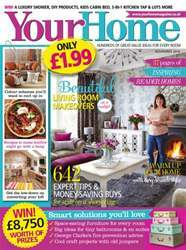 If you’re thinking of giving your living room a bit of a revamp before Christmas, then take a peek at our three inspiring reader makeovers (p.24) for some great ideas to steal that won’t break the bank. If you fancy turning your hand to a bit of crafting on the cold winter evenings ahead, then I think you’ll love our upcycled jumper projects on page 60. However, I have to say my favourite is the adorable cat draught excluder project on page 64, it’s so cute and really simple to make. 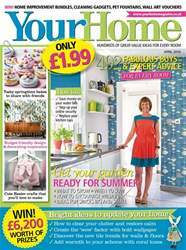 And if you’re planning a get-together for bonfire night, make sure you take a look at our yummy recipes on page 100 – they’re sure to make your party go with a bang!